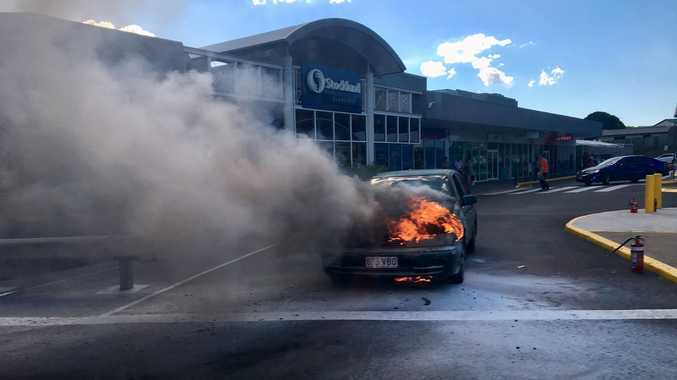 GLADSTONE shoppers were stuck for more than 20 minutes at Stockland shopping centre yesterday after a car burst into flames. Fortunately no one was hurt and the man inside the car managed to exit safely. It took three minutes for two Queensland Fire and Emergency trucks to extinguish the blaze. Stockland managment closed the car park off to stop anyone entering and leaving during the emergency operation. A spokesman from QFES said the fire is not suspicious and was engine-based. "The car was alight when the crews arrived but they managed to put it out pretty quickly, in three minutes actually," he said. Queensland Ambulance received the call at 2.15pm but closed the case shortly after arriving. Queensland Fire Station Officer Bradley Rosenblatt confirmed the driver was safe. 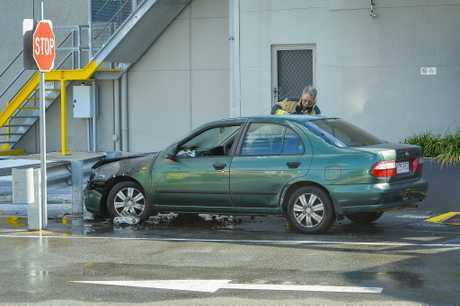 "Fire crews got called to reports of a car on fire at Stockland shopping centre. On arrival we noticed black smoke coming from the front of the vehicle plus flames. Crews went to work to extinguish that fire pretty quickly," he said. "It's not suspicious it's just a mechanical fault, the driver is out and safe and everyone is safe." Mr Rosenblatt urged drivers to maintain their vehicles. "Keep an eye on your maintenance on your vehicle. But you may have the nicest car and serviced vehicle but sometimes these things just happen. Keep a fire extinguisher and first aid kit just in case, in this instance we had three extinguishers that we used on the vehicle but the nature of vehicles these days, that wasn't sufficient enough to put the fires out. 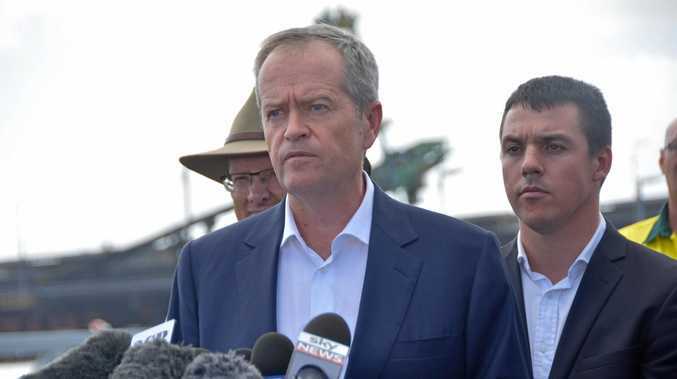 Extinguishers are just for a quick knock down to get that fire down, but once it gets too big extinguishers are no help and you ring triple 0," he said.